Why are we breathless after running or walking faster? 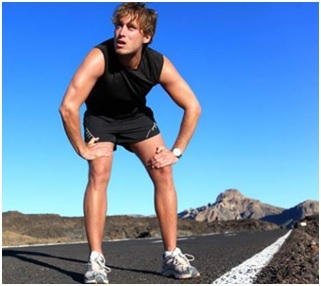 This article talks about the reason that why are we breathless after running or walking faster. Q. Why are we breathless after running or walking faster? Ans. During any physical work like running, walking faster, exercise etc. our body muscles need more energy, so more of the oxygen is required to burn up the glucose to produce energy. Hence we breathe faster to take in more oxygen to fulfill the energy requirement by the muscles. Previous Article Why do popcorns become soft after popping? Next Article Why does hot water remove the greasy stains easily?